Welcome to another dental discussion, especially now that we are full on into National Pet Dental Month, where vets all over Australia are offering their time for a free dental check. But this is post is about what we, at Russell Vale Animal Clinic do when it comes to treating dental disease. As the first veterinary hospital in Wollongong to do dental xrays (since 2005), we are always working harder to ensure all pets receive the dental care they deserve. This awesome technology has allowed us to identify disease that could easily be missed (read here to find out more), but it doesn't stop there. We are also now able to take steps which can protect the teeth where previously, the only alternative is to extract. When more than 80% of pets have dental disease (and our younger cats suffer it too), it is no wonder to me, as a vet, that a pet may come in for the annual health check, or for a torn nail, to find dental disease. It is common for me as a vet. How easy for me to forget that to you, the loving pet owner, however, it is a shock. I understand how you feel, as I would feel the same way. It would be a real shock to know that there was disease in your beloved pet's mouth and you didn't know. Or that maybe you knew that there was a little bit of brown stuff, but not that it was a true disease in its own right. A real shock that now what you thought was a single visit that year to the vet, is going to turn into a more expensive second visit, something that you hadn't budgeted for. From the moment your pet comes into your household, you need to budget for their dental care. Simple. They have teeth, but sadly, they do not own self cleaning teeth. Want to know how to save money on your pet's dental work? Read this. 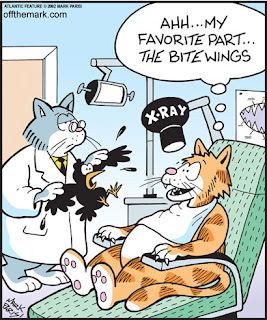 But to make things simpler for you - all year round, at Russell Vale Animal Clinic, every day is Pet Dental Month, with FREE dental checks (by appointment only) are available. We promise to make it a "shock free" zone, as many times, in my animalclinic family pets, they have absolutely great mouths! Woo Hoo! This excites me. awake soon with a fresh mouth. Every day we are open, Dirk (our vet nurse) is available to talk to you about how to brush your pet's teeth, and he can talk for hours on how you can keep your pet's teeth healthy - as there is nothing more than he loves, is to look in a pet's mouth and see a normal, healthy mouth, and if it isn't, on how he can help you, get it there. In many loving pet owner's eyes, they often say to me "but I given them Greenies every day (or it may be bones or Dentastix), surely that is enough?" If you are doing that, then you are super-awesome! You already know how important dental home care is to keeping your mouth's pet healthy. Sadly, it isn't enough, so let me help your pet get their mouths back to a nice normal white, and remove disease. Other owner's say to me "but they had their teeth cleaned last year at ABC veterinary hospital, how come it has come back?" . Sadly, a once off cleaning will not stop disease from coming back. when was the last time you washed your car? And how soon does it get dirty again? (for me, I wash my car just before the drought breaks... I can guarantee it will rain the day after, loading it up with mud again, although that was never my intention). 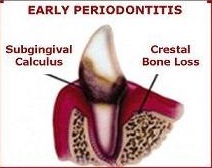 Whilst there are teeth, food, saliva and bacteria in the one spot, there will be plaque sitting on teeth, becoming calcified over time causing the hard stuff that just won't come away. Not even brushing will remove the hard stuff. Some owners are in denial - that their pet's mouth is perfectly healthy, that smell from the mouth is normal, that they don't need an anaesthetic to clean the teeth. Read more here about anaesthetics and dentistry. And, smell from the mouth is not normal - just ask your own human dentist. Dental disease - the stuff that is sitting under your pet's gum line - is progressive - we can't stop it's progression, but we can slow it down an awful lot (change the rate of damage to a snails pace rather than the hare's). And brushing won't get under the gums either - only vets who do good dental care can. 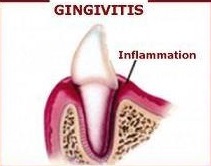 In the human world, these are usually periodontists. And that is the dental work that we do at Russell Vale Animal Clinic - we treat the disease under the gum, not just the obvious stuff on the surface. That is where I can help. I know it is a shock to find out that disease is hiding in your pet's mouth, but give it no place to hide. I know it is a shock to realise that despite all of your great efforts in the past (and mine), that dental disease is sneaking back. It is important to act when you know, as we don't want it continuing on to make things worse. Any time during the year, not just in August, call us on 42 845 988 or book online (see to the left) for your pet's FREE dental check. 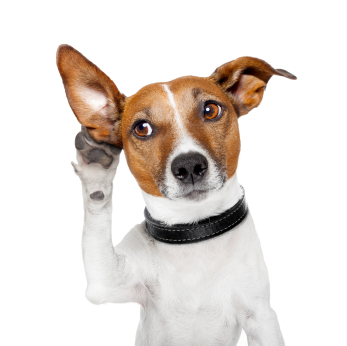 Want to know more about what is involved about getting your pet's mouth back to normal? Read here. Find out more about our Grade 1 (gingivitis ) and Grade 2 (early periodontitis) dental care plans, priced to be affordable, but complete enough for peace of mind. The expiry date of these offers is on the website. I am Dr Liz, and I (and Dirk) are here to help you, and of course, your pet... Looking forward to seeing you real soon. Call us on 42845988 or book online for your pet's Free dental check, or to book them in for their day stay to assess their mouths, and get them back to a healthy normal. 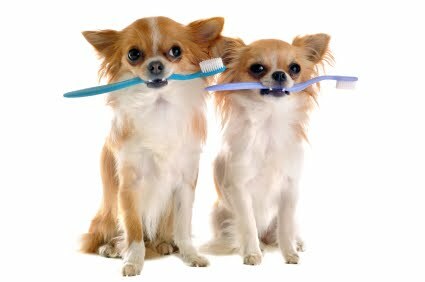 Call us to discuss what else you can be doing at home to keep your pet's teeth healthy (and the rest of them too). After all, I am for "Happy, Healthy Pets... Always! "